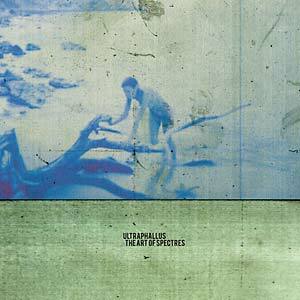 Covering a large pan of genres, Ultraphallus defines their sound with some accents from different styles including western music, death-metal, doom-rock, avant-garde, psychedelia and electronic soundtracks, as a tribute to rock culture. Seven tracks were recorded in four days at Drop Out Studios, South London, with Tim Cedar (Part Chimp leader, Hey Colossus). Tracks are inspired by The Residents, Marc Bolan, Mark Frechette and Zabriskie Point, Swans, Autechre, David Bowie, Eva Ionesco, Polanski's movie The Tenant and death-metal. Phil Maggi - vocals, samples, electronics, trumpet, percussion; Xavier Dubois - guitars; Ivan Del Castillo - bass; Julien Bockiau - drums.